Posted June 2, 2014 by The Rapid & filed under News. Have you heard the good news? Our arsenal of rider tools is growing! With our tech-savvy riders in mind, we’re happy to announce that Rapid routes and schedules are now fully integrated with Google Maps. You can now access our route data via your desktop, mobile, and tablet devices by using Google’s website or mobile apps. 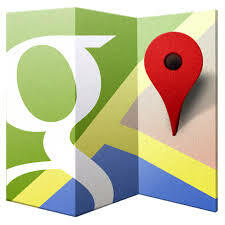 “Aside from our website, Google Maps is another way to access our information,” Rapid spokeswoman Jennifer Kalczuk said. 1. Route customization: Riders can simply enter the date and time that they hope to arrive at their destination (or depart for the trip) and the trip planner will provide 3 options, showing the amount of time and number of transfers for each option, letting you easily select the most convenient trip. 2. Walking directions: Google Maps provides walking directions for riders to find out how to get to the nearest transit stop or station, and how to get to your destination once you leave the bus. 3. Mobile accessible: Transit trip planning is also available on mobile phones (such as iPhone, Blackberry, Windows Mobile, S60, and other Java enabled phones). Transit information is now available at people’s fingertips no matter where they are, and can help get them out of a bind if they don’t know which lines/routes service a particular area or what the timetables are. 4. Using business names or place names instead of addresses: You don’t need to know which pizzeria you are going to or its address in order to get directions; with integrated local search results, this means that you don’t need to know exactly where you’re going — in the “to” and “from” fields, you can enter a business name or category instead of a specific street address. 5. Street View imagery of locations: Google Maps offers Street View ground-level images in hundreds of cities and towns across the country; this allows riders to preview a transit station or stop. 6. Fare calculation estimates: If you provide us with the necessary data, we indicate the price of the transit trip, and compare it to the cost of transit to the cost of driving. 7. Support for over 40 languages: Google Maps supports multiple languagesso it is very convenient for foreign language riders, whether residents or international tourists, to find directions and information in their native language. 8. Accessible for visually impaired users: Google Maps generates an output that is compatible with screen readers for visually impaired users (example). 9. Multi-modal friendly: Google Maps offers multi-modal directions linking users to walking, bicycling, driving, and transit direction in one trip. This feature allows Rapid riders to receive details directions on how to get to and from stops and stations. 10. Connects to community: Rich data integration allows for a closer connection to the community by featuring areal imagery, business listings, user reviews, and street-level views. It gives users a thorough understanding of the neighborhood before users set foot on it. To create a route on your desktop, head to Google Maps, click on “Directions” then type their starting point and destination. Clicking the bus icon will take the user to transit mode, which shows the nearest bus stop and its distance. Have you planned a trip using Google Maps yet?